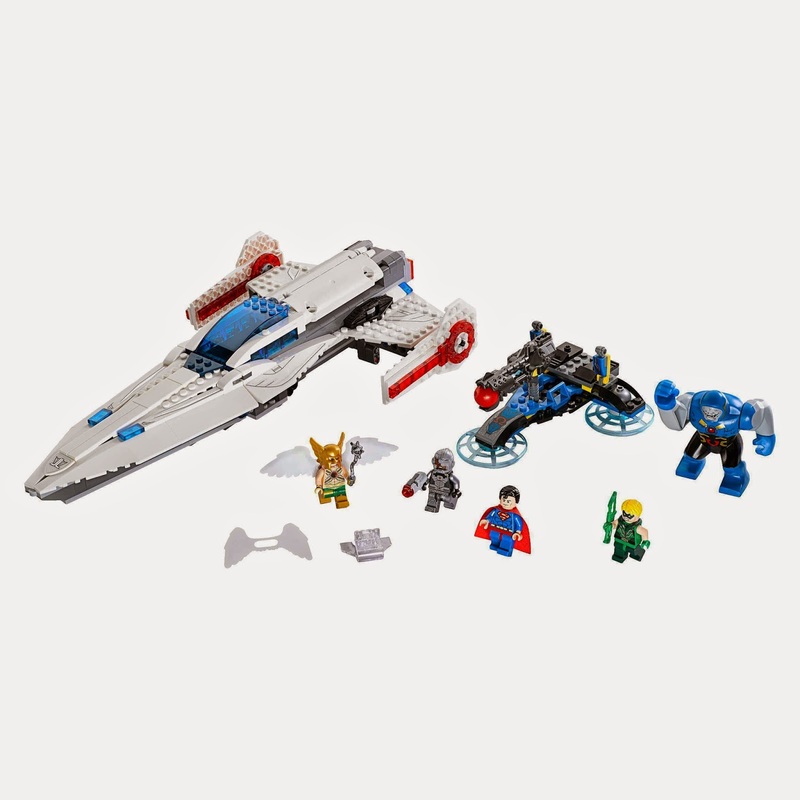 come with a hover destroyer and a javelin spaceship. the destroyer has a control platform and a cannonball shooter. 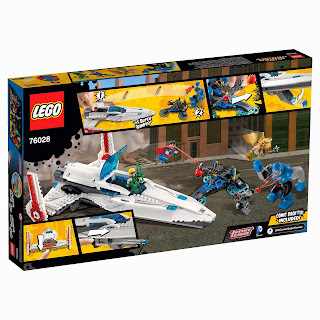 the spaceship has an openable cockpit, rotatable wings, rear compartment and a secret super jumper function. 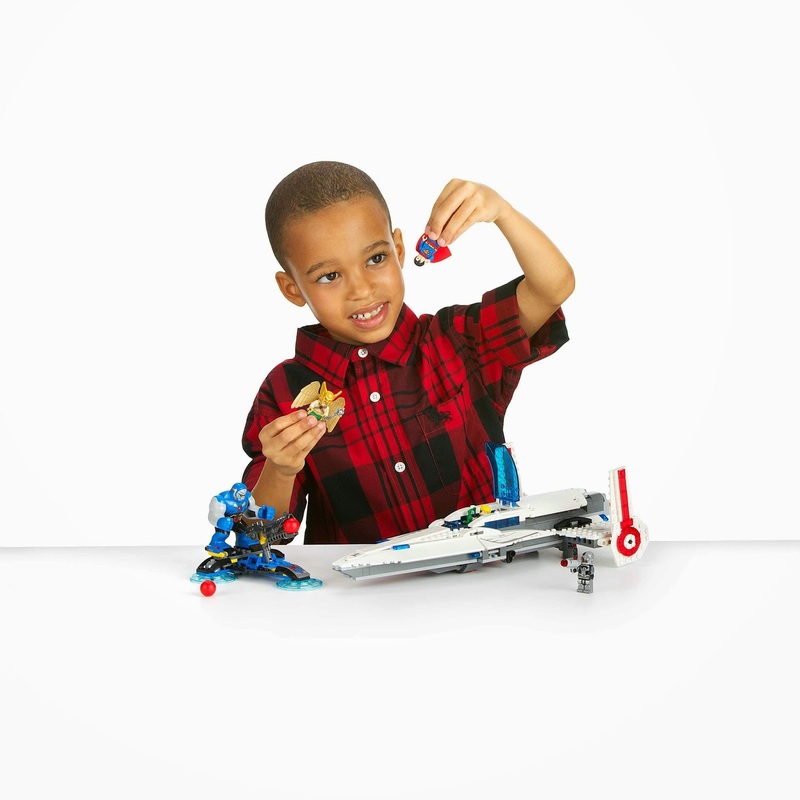 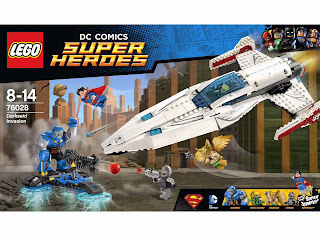 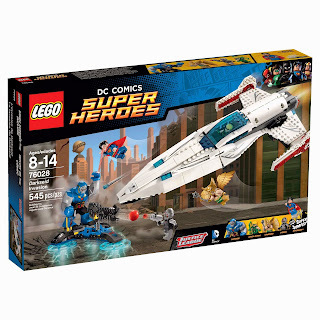 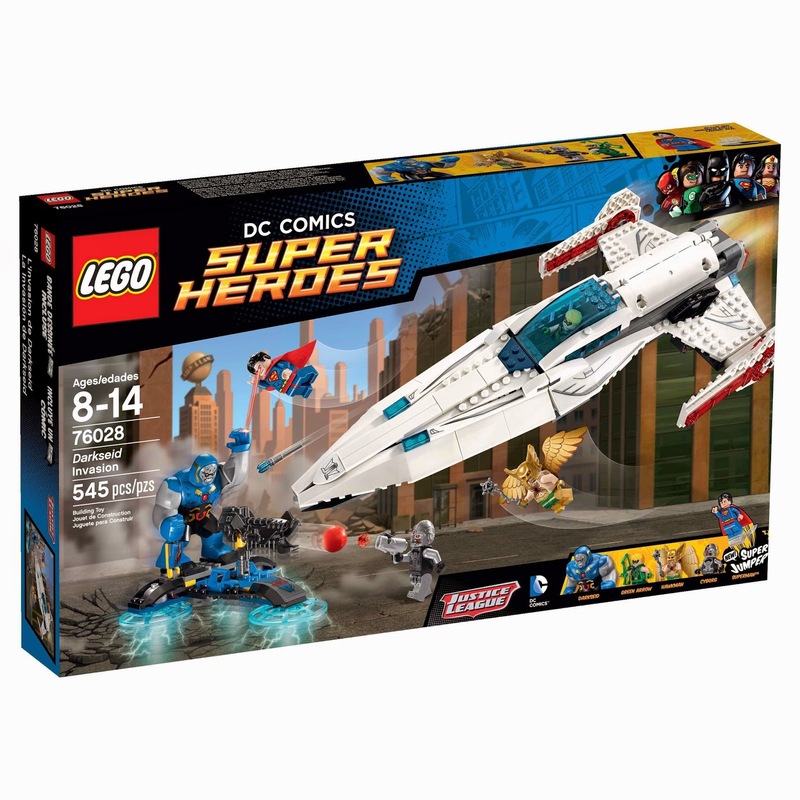 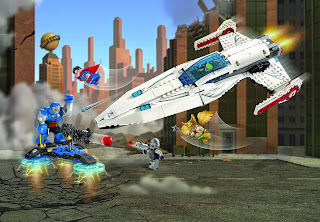 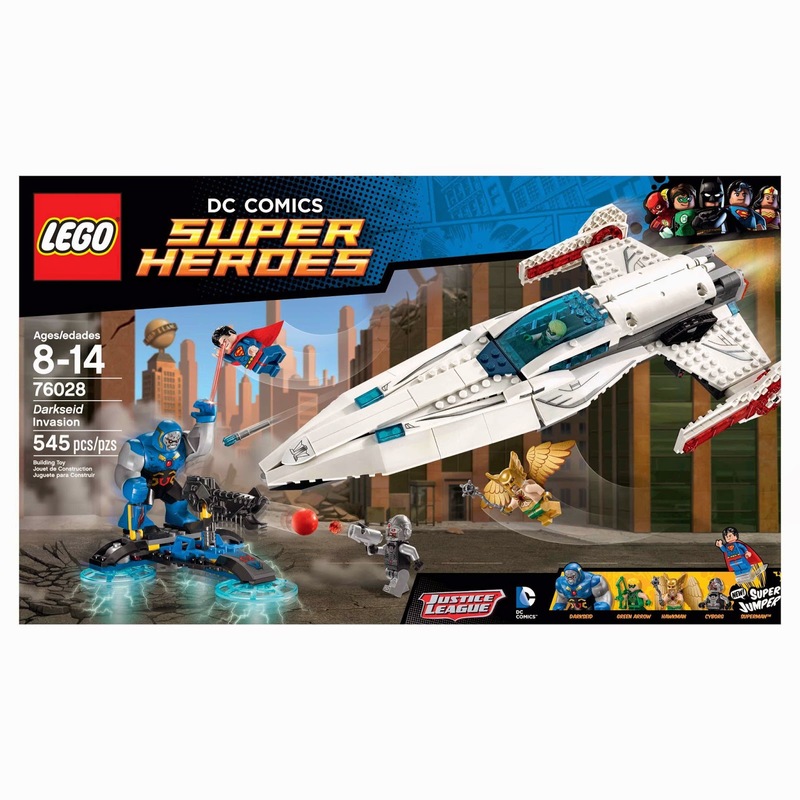 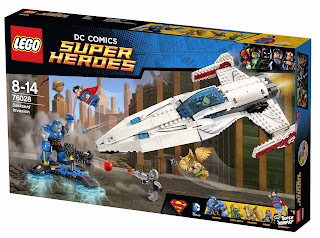 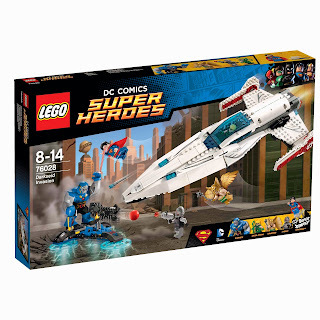 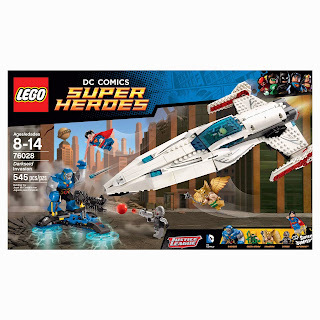 minifigs included a superman minifig, a green arrow minifig, a cyborg minifig, a hawkman minifig and a darkseid figure.